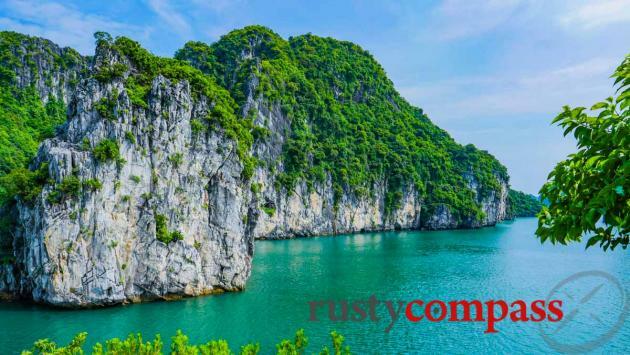 Day trips are still the most popular way to experience Halong Bay and new highway openings in September 2018 and new cruise options make the day trip easier than ever. 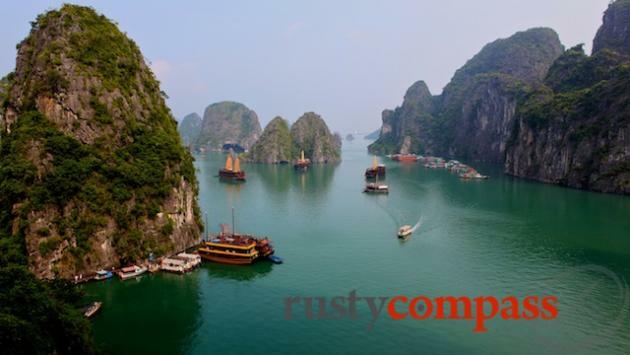 Few visitors travel to Vietnam without making the pilgrimage to stunning Halong Bay. 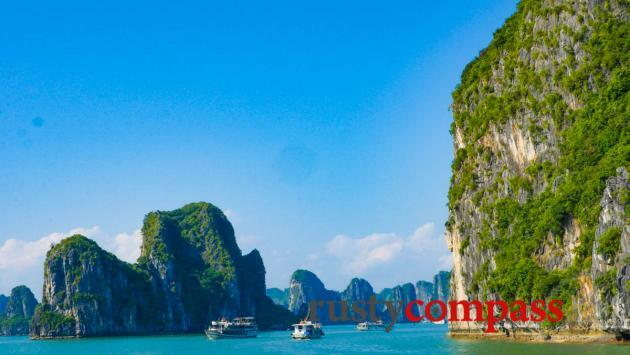 While there are plenty of options for those wanting to spend a couple of days cruising, day trips from Hanoi are still the most popular way to see the bay. Halong Bay day trips can now be taken from three different ports - Tuan Chau, which is the main Halong Bay gateway, Bai Tu Long, an attractive alternative to Halong’s crowds, and Haiphong’s Lan Ha Bay which is developing quickly and is the closest port by road from Hanoi. The experience of the bay is comparable in each place. Halong Bay is the busiest by far. Most Halong Bay day trips depart Hanoi between 8AM and 9AM and arrive in Halong Bay ports at Hong Gai or Tuan Chau at around around lunchtime. The limousine-style mini-buses from Hanoi provided by most mid to high-end operators are comfortable. More basic transport is provided by the budget operators. Expect to pay from around $80US per person for a mid to high end cruise from Hanoi including lunch and transfers. From September 2018, the road trip to Halong Bay has been cut to 2.5 hours. The journey to Haiphong is even faster (around 1.5 hours), making this an increasingly popular option. We haven’t visited Lan Ha Bay (Haiphong) section of Halong for some years so will revisit soon. Lunch and a 4 - 5 hour cruise follows before returning to Hanoi in time for a late dinner. Tours normally include a visit to a cave and may include swimming and kayaking. Swimming in the bay is becoming less common and less advisable as pollution problems increase. Swimming is not permitted on some tours. A day trip or overnight on Halong Bay? As the road trip to the bay improves, the day trip becomes an easier option. Staying on the bay overnight provides an opportunity to see the beautiful light of the morning and evening over the emerald water and karst islets. Otherwise, we’ve found overnight cruises to be a bit rushed with a lot of logistics and a lot of activity squeezed in - actual time enjoying the bay may be an extra few hours. Cruises that stay two nights may be a better option - if time permits. 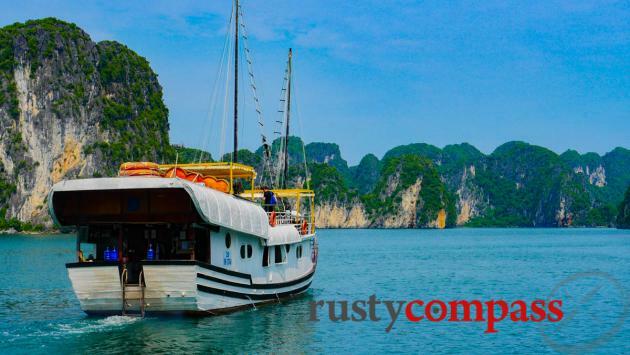 Our most recent visit to Halong Bay (August 2018) was a day tour from Hanoi to Bai Tu Long (slightly to the north of Halong Bay) with Indochina Junk cruises. Bai Tu Long is less crowded than Halong Bay - and less dirty too. The caves were smaller and not a big deal. But the experience was better than Halong Bay because it was cleaner and less busy. I would recommend Bai Tu Long over Halong Bay on the basis of crowds alone. You can check out Indochina Junk here. These guys operate cruises out of Haiphong - a new base for travel to Halong Bay. 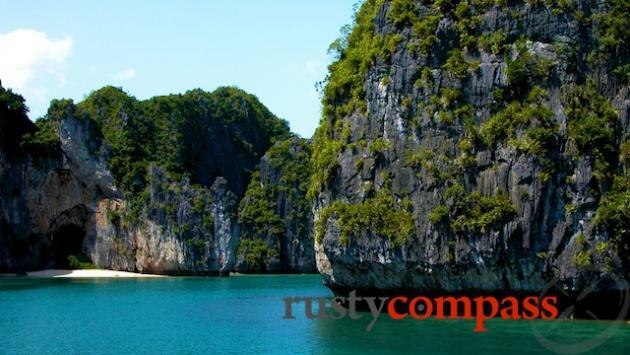 Haiphong, a major port city is closer to Hanoi and offers an experience of Lan Ha Bay - which is equally beautiful. This is also where you will access Cat Ba Island. We have not travelled with Pelican Cruises. You can check out Pelican Cruises here. 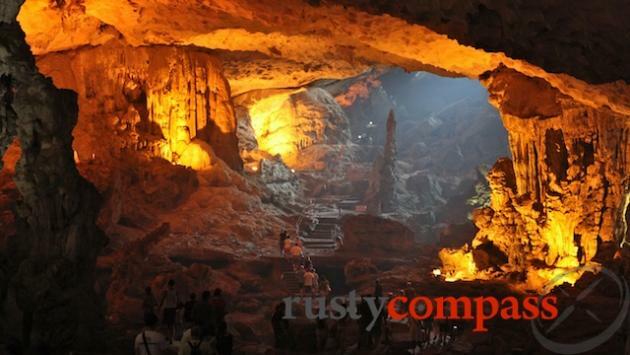 Halong Bay experiences four seasons and tours are weather dependent. The best days will be hot and clear and will usually occur between April and October. Storms can be an issue during summer months and cancellations are common during severe weather conditions. The winter mist over the bay (from November to February) can also be beautiful though it can also be cold with low visibility during these months. Bring warmth!